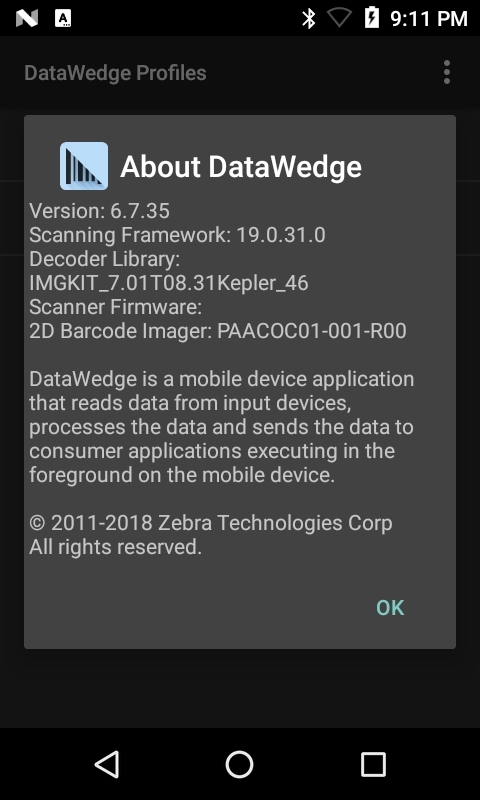 DataWedge provides “zero-code” barcode scanning and processing services for Zebra devices running Android. 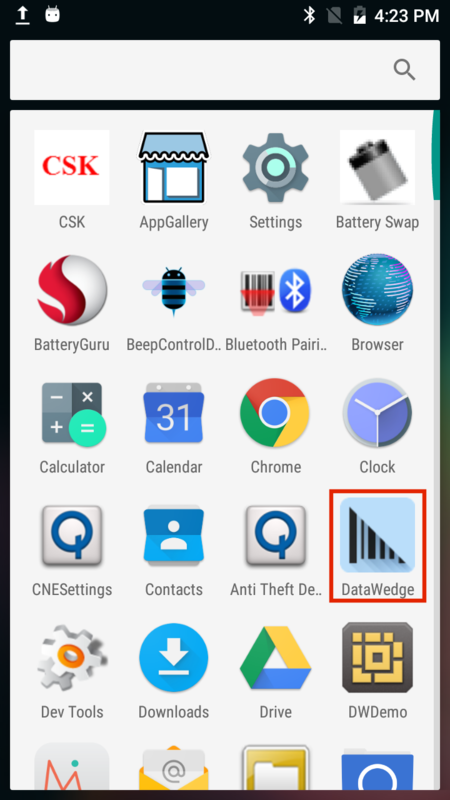 Included with every Zebra device, DataWedge enables all apps on the device (whether stock or added later) to acquire scanned data without using scanner APIs directly. DataWedge can be easily configured to automatically provide scanning services whenever a particular app is launched; to use a particular scanner, reader or other sensor; and to manipulate acquired data according to simple options or complex rules. When programmatic control is required, DataWedge APIs provide the ability to control, modify and query the DataWedge configuration settings and operations through Android intents. This allows new or existing Android apps to be easily modified with an organization's current development resources to acquire data using Zebra devices. Note: Availability and operation of DataWedge features varies by device and operating system (which determine the DataWedge version installed on the device). New Voice Input (beta) for voice-to-data capture. New Global Scanner Configuration enables a generic scanner configuration to apply to all supported scanners. New Character Set Configuration provides options to make adjustments with the decoder character set for barcode input. Added support for DS2278 Bluetooth Scanner. Added support for MultiBarcode Data Output across all Zebra devices. Improved layout for SET_CONFIG API scanner input parameters. New SET_IGNORE_DISABLED_PROFILES API configures DataWedge to avoid switching to Profiles are are not enabled. 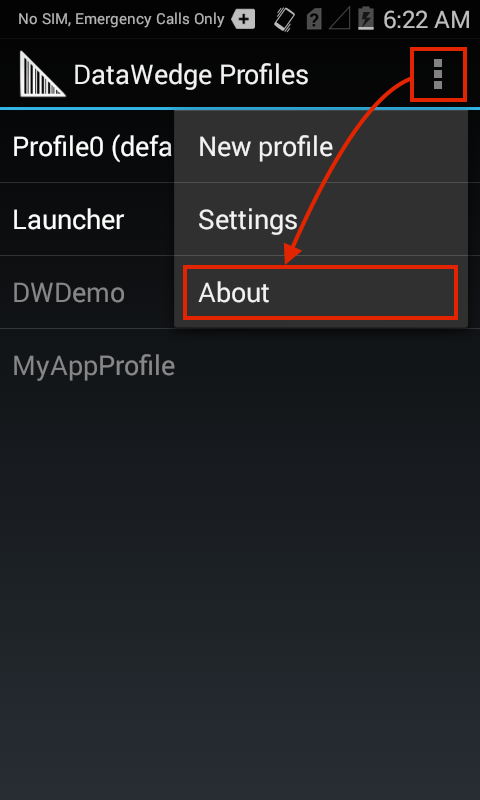 New GET_IGNORE_DISABLED_PROFILES API returns the status of the IGNORE_DISABLED_PROFILES flag. The SimulScan Input Plug-in default template is now "Default - Barcode4.xml"